" Purchased as a replacement machine. Very quiet, much smaller footprint. Once set up, only one button to control. " " The cpap machine is exactly as advertised. It is quiet and compact. " 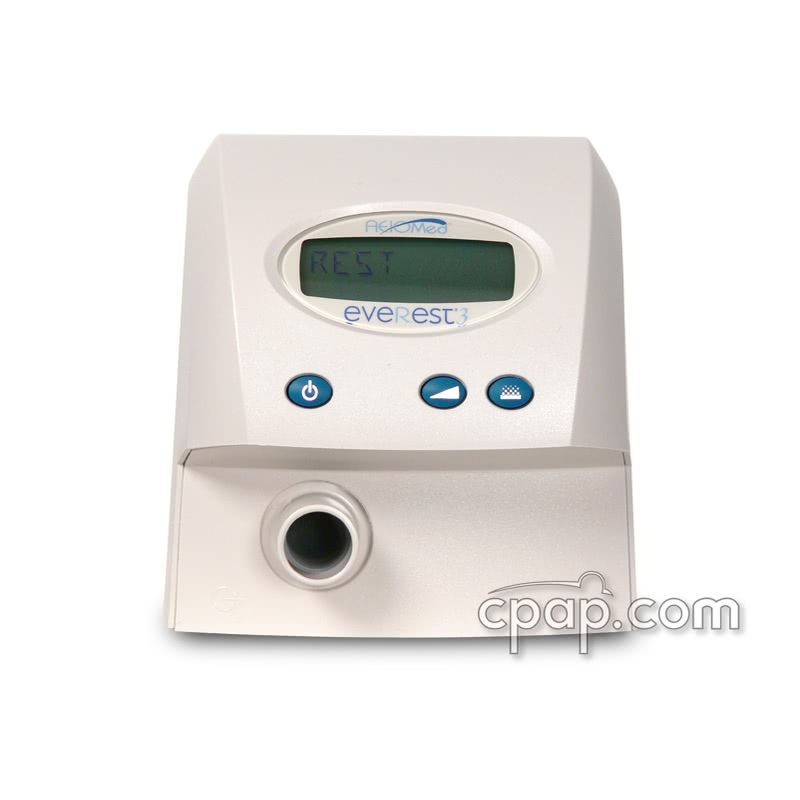 The Everest 3 CPAP is quiet, reliable and has one of the smallest footprints on the market. The Everest rests within a minimal space on your nightstand by stacking the Heated Humidifier and Battery Pack, one atop of the other. The Battery Pack allows use anywhere and acts as a backup power source in the event your electricity goes out. 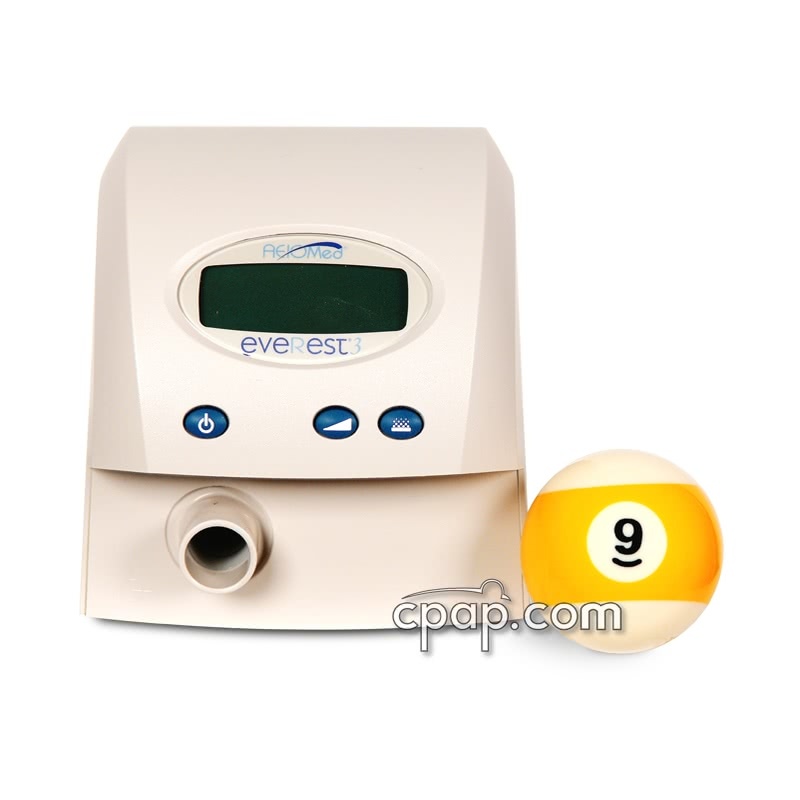 Please note that the Heated Humidifier and Battery Pack are included in the price of this machine. 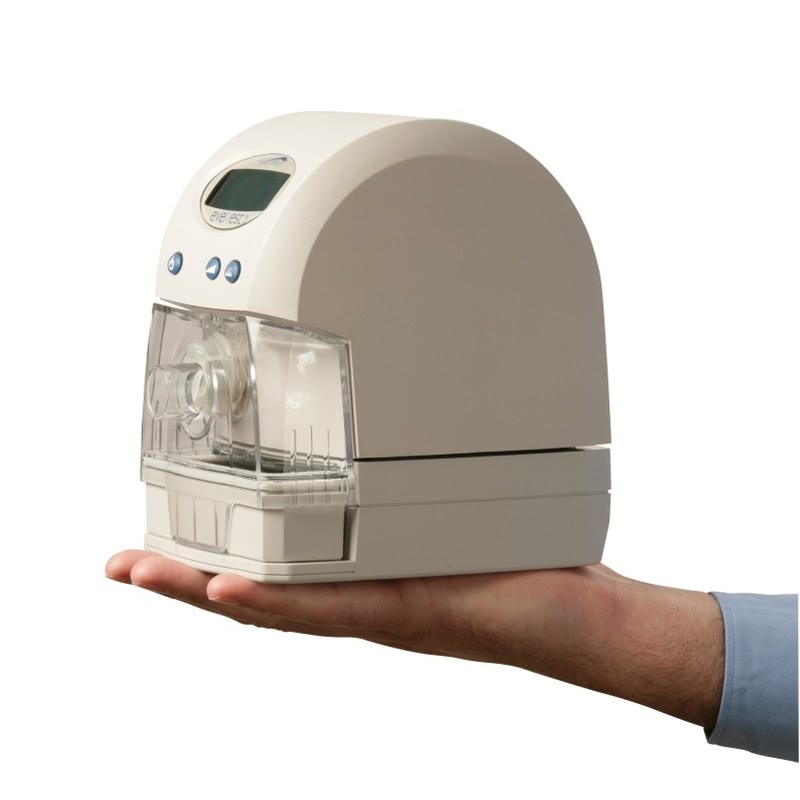 Although this item is no longer available, the Transcend Travel CPAP Machine is a similar option. It weighs under a pound and fits in your hand. The Transcend also comes with great battery options. AEIOMed continues to improve the Everest CPAP machine. The Everest 3 is rugged enough for travel, small enough to be easily stowed in your carry on luggage, and best of all, it takes little room on the night stand. Quiet. The motor and mechanics now operate at 22 Decibels without the humidifier. Due to the extra volume of space, installing the humidifier brings the sound up to 28 dbA. Lightweight. AEIOMed has changed out several components inside the CPAP, lowering the weight. The Everest 3 weighs 1.8 lbs, which is 5.6 ounces lighter than the Everest 2. Humidification. The heated humidifier has a redesigned lid that snaps into place, assuring the system is secure. The water chamber was also improved so that the electric connectors are located on the back side, instead of on the bottom where water could damage the connection. Optional Software Capability. The Everest 3 can now record 13 months of daily compliance data with its new on-board memory. 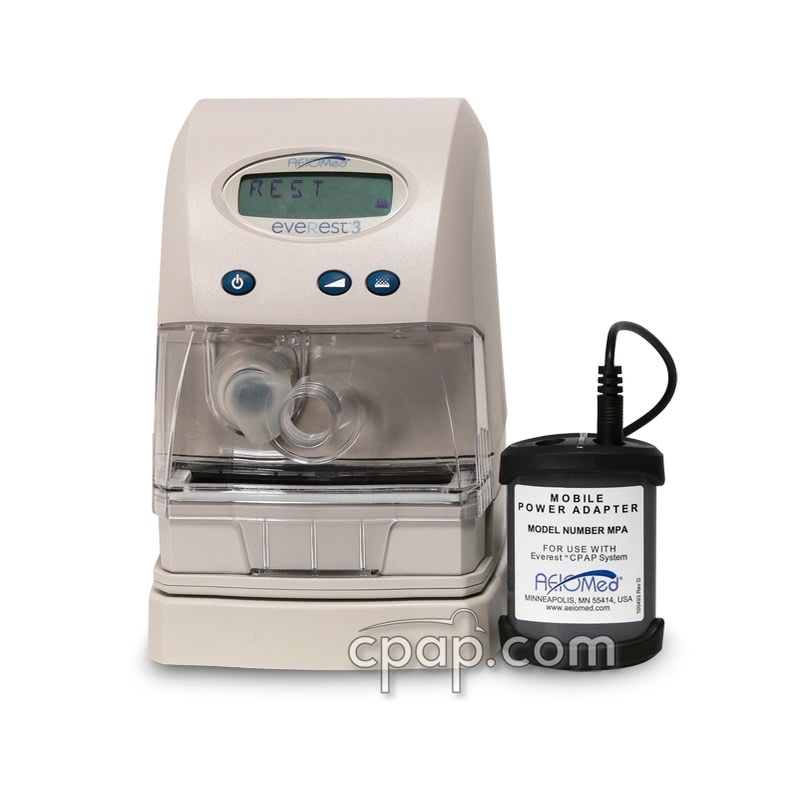 Use the DataRest Docking Station and Software to transfer data from the CPAP to the Data Card for a graphical interpretation of your therapy. Battery Operated. 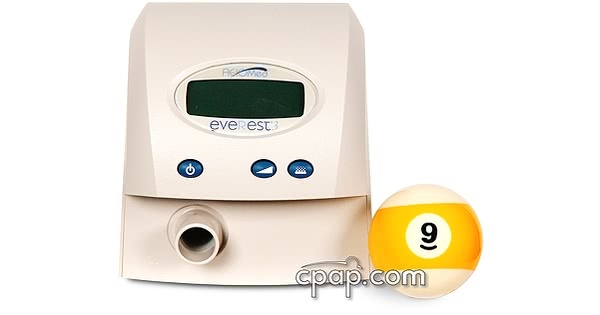 The Everest 3 uses the same integrated, rechargeable battery, but now capable of powering the unit and humidifier throughout the night at ANY pressure. It's perfect for camping, boating or other activities that take patients beyond stationary power supplies and acts as a backup during power outages as well. This battery can operate the system all night, and adds only one inch to the system's height. 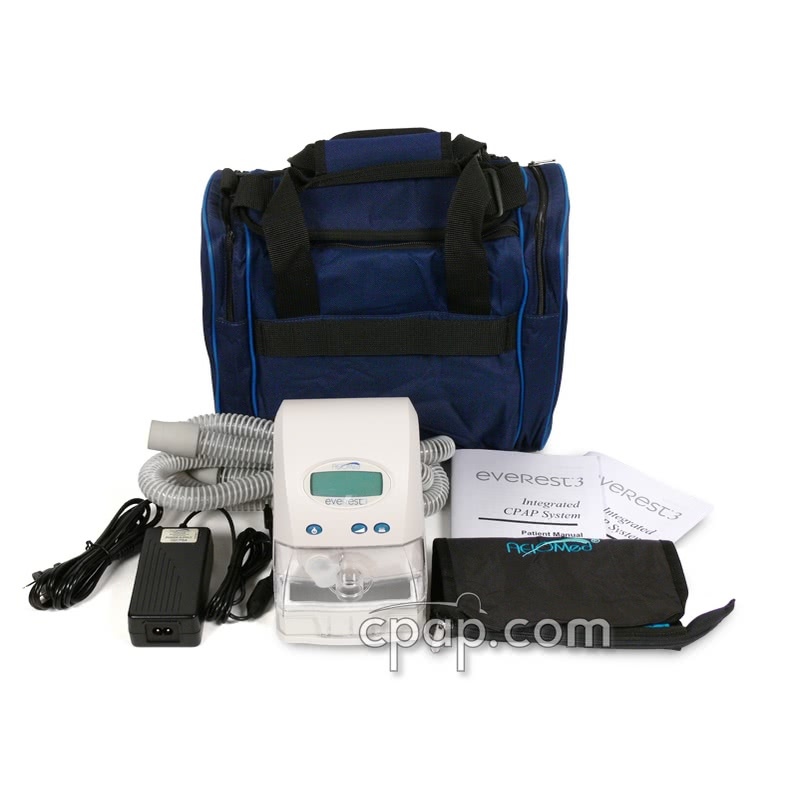 The user manual included with the machine can be viewed and downloaded here: Everest 3 Travel CPAP Machine. 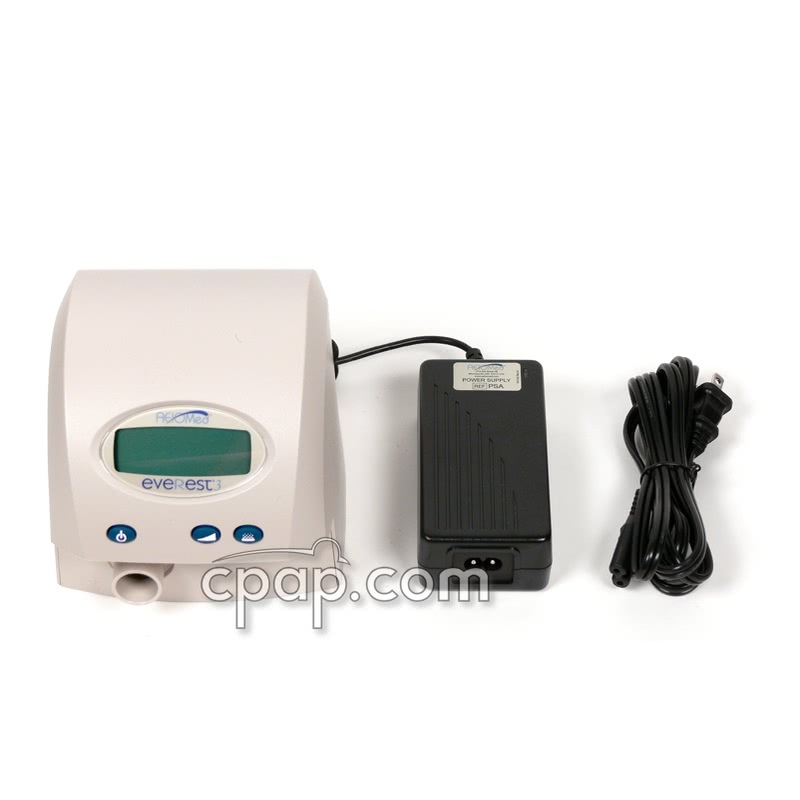 This 19 volt mobile power converter is for use with the AEIOmed Everest 3 Integrated CPAP System. This portable battery pack is an external lead acid battery that is the ultimate in power, portability and convenience. This battery kit comes with the Respironics battery and the AEIOmed Everest Polaris 19V Mobile Converter.